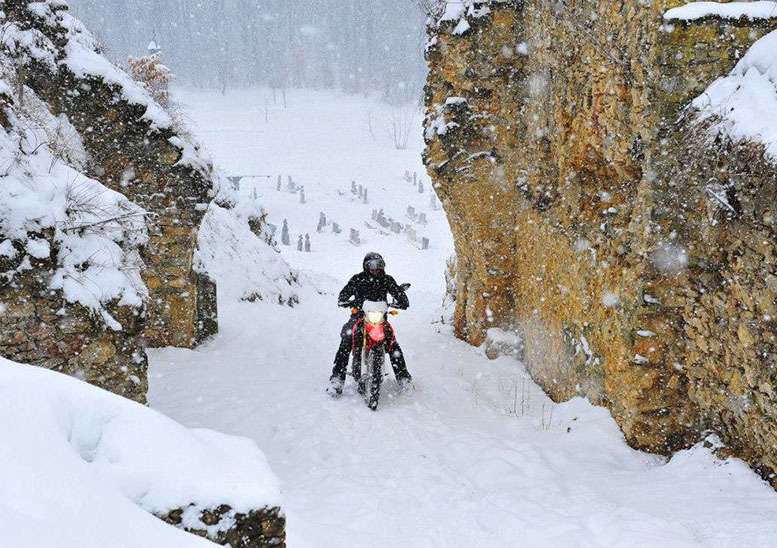 Riding in Slovakia is like riding back in time. Imagine a wild country full of towering mountain ranges, dense forests and deep lakes; throw wolves, bears and boars in the mix and then pepper the entire country with ancient castles and fortifications. You’ll find gorgeous villages and hamlets sprinkled across the land, filled with proud Slavs and their incredible hospitality and delicious wine. They’ll either be taking part in public goulash cooking competitions, taking aim in archery contests or knuckling down and preparing firewood for the cold winter months. 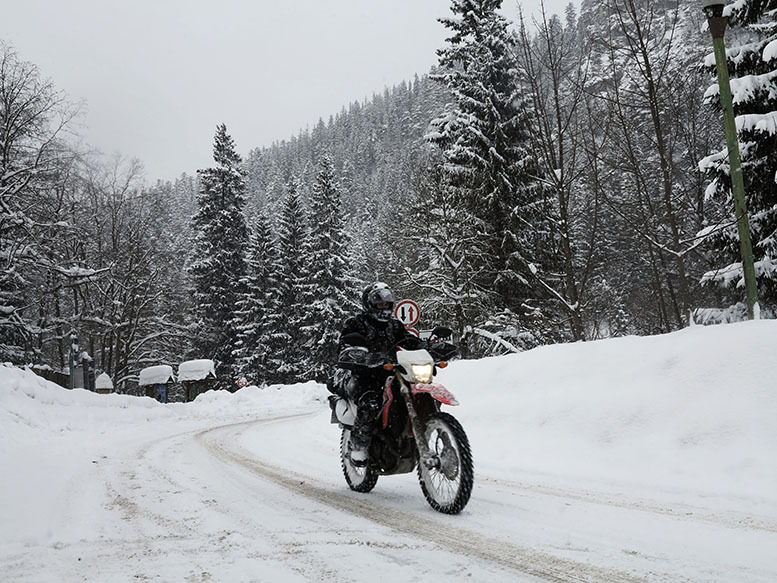 Slovakia is one of the most underrated, rustic and inspiring places to visit in Europe; you’re going to love motorcycling through it. Slovakia is bordered by Poland, Czech Republic, Austria, Hungary, Romania and Ukraine. It’s easy to get to from the UK, about 1000 miles from Calais, and makes for a beautiful loop ride. Dart through France and Germany and cut through Czech Republic until you reach the south of Poland. 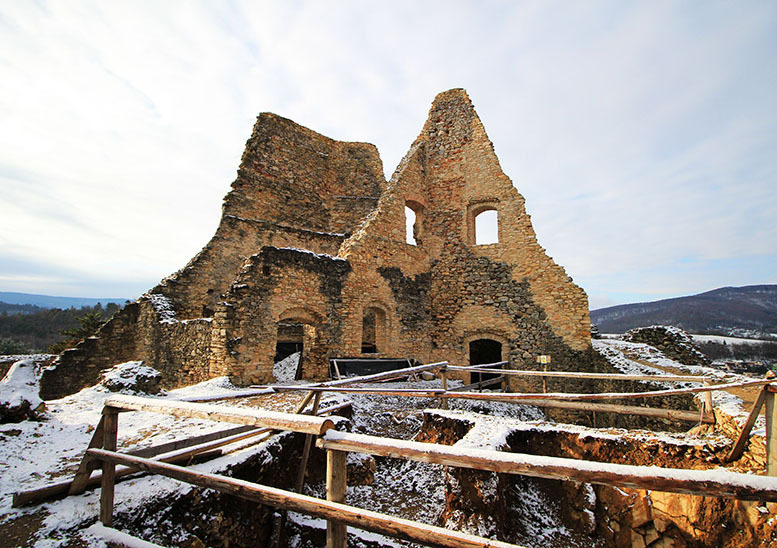 Cross into Slovakia via the mighty Tatras mountain range and explore the north of the country before heading to Kosice. Then head south west to Vienna before riding back home through Austria and Switzerland. The three main draws are: the Tatras, castles and food and drink. First up is the High Tatras Mountains with its highest peak at 2655m. The stunning range in the Carpathian Mountains floods the north of Slovakia and acts as a natural border between Poland. Motorcycling along the twirling tarmac all the way up and over these peaks makes for some fantastic riding. But what makes it really special are all the forests, waterfalls, high-altitude lakes, valleys and hills you ride past to get there. 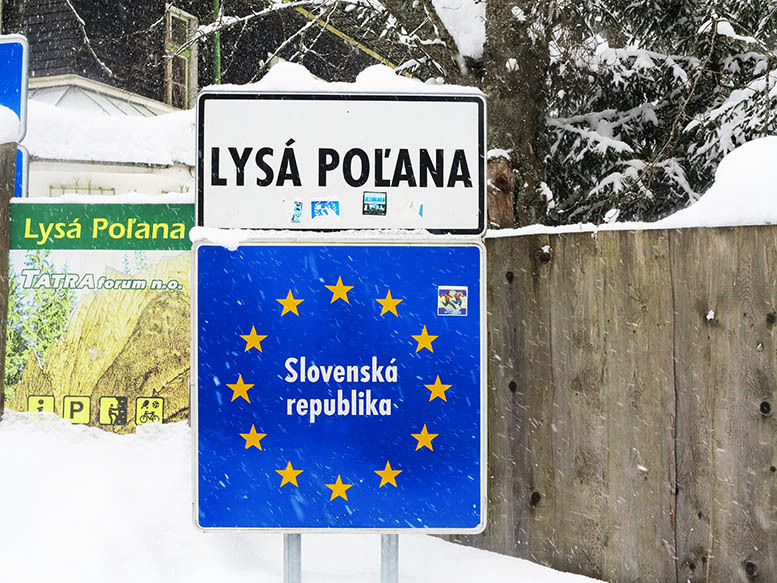 Stopping off at little villages and joining locals for hearty meals of goulash and halusky makes it hard to leave – literally – as Slovakians like to fill your stomach to near bursting point. The hospitality is nuts; expect copious amounts of Tokaji sweet wine (pronounced tock-eye) and spirits to be offered every time you enter and leave a home. 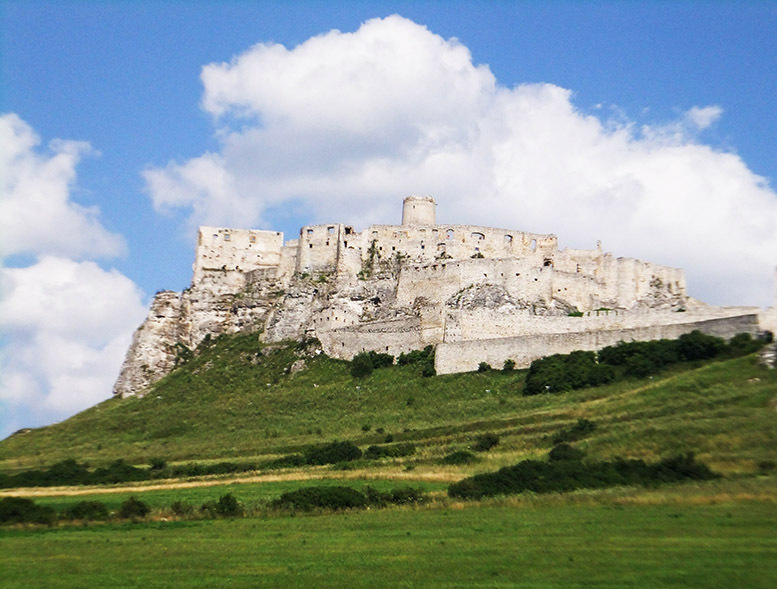 One of the biggest draws to Slovakia is its incredible spread of castles. 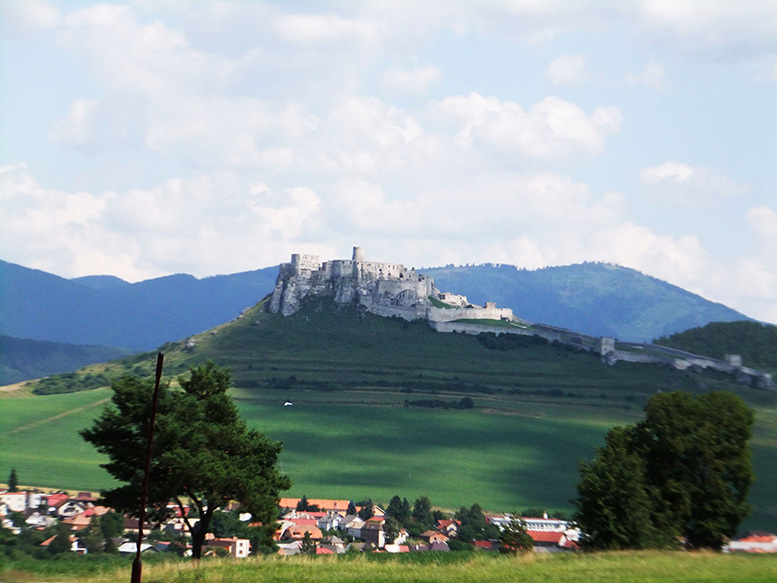 Slovakia was prone to attacks due to its strategic location, so the country built hundreds of castles to defend themselves from invading armies. As you explore you’ll see ancient castles, forts and manor houses perched high on hilltops and guarding villages everywhere. You’ll find all sorts from huge medieval battle castles to romantic fairy-tale turrets. Don’t miss Spisky Hrad, one of the biggest castles in Europe and filming location of the Sean Connery film ‘Dragon Heart’. You’ll also want to visit the pretty Bojnice Castle, where countless fantasy movies have been filmed (Slovakians insist Disney based their castle on it). But it’s not all fairies and magic; many of the castles have gruesome pasts, from burying babies in the foundations to bloodthirsty and ruthless lords like the Blood Countess. You probably won’t want to take any motorways in Slovakia, but if you do, you’ll need to buy a 10-Euro toll sticker at a petrol station. The best time of year to visit Slovakia is between April and October. From September onwards, the weather starts to drop, and by January and February you can expect plenty of snow. 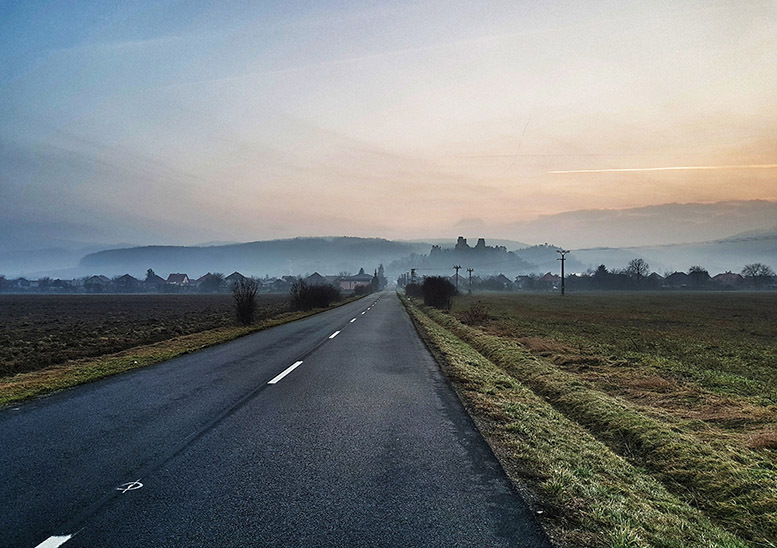 To read more about Andy’s enticing adventures in Slovakia, take a look at his blog to read about how his three-day adventure there turned into three weeks.